Question 1:Which of the following is not true of FORTRAN? Question 5:Which of the following is an example of problem oriented language? Question 6:In the evaluation of a computer language, all of the following characteristics should be considered except? Question 10:Which of the following generations of language will likely include the languages of the featuer? Question 1: Electronic spreadsheets are most useful in a situation where relatively .... data must be input but ...... calculations are requied. Question 3:Which file organization is allowed by a direct access storage device? Question 4:Sequential file organization is most appropriate for which of following applications? Question 5:Which of the following file organization is most effieient for a file with a high degree of file activity? Question 8:Which of the following is most oriented to scientific programming? Question 10:Which of the following is not one of the process that a high level language program msut go through before it is ready to be executed? HTML stands for Hyper Text Markup Language.HTML is Markup language,A markup language set of Tags and attributes. In this project using basic HTML tag and attribute as form,table,hr,dd,dl,input etc. What the size of T-Shirt you would like to recive? Note: Type your email id(youremail@yahoo.com) where indicate red colour. When the machine is off and we boot the machine by pressing power switch from switch board and then on the power switch of CPU box, this type of booting is called cold Booting. When the machine is on and we reboot the machine by pressing Ctrl+Alt+Del switch at a time from keyboard or by pressing RESET switch from CPU box,this type of booting is called Hot Booting. The very first operating system used on the earliest IBM PCs was called simply the Disk Operating System,abbreviate DOS. 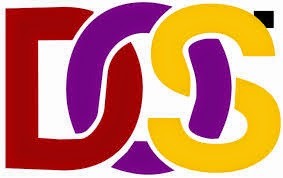 DOS(Disk Operating System) is an acronym for several closely related operating systems that dominated the IBM PC compatible market between 1981 and 1995, or until about 2000 including the partially DOS-based Microsoft Windows versions 95, 98, and Millennium Edition. These commands are automatically loaded into the computer's memory during booting process.They are actually included into the Command.com file.These commands are executable immediately after DOS prompt. C:\> This is called system prompt. Note:-Where C is drive name and '\' symbol means back slash. Example of some Internal command-Date,Time,Ver,Vol,Cls,Type,Copy con,Copy,Ren,Del,MD,CD etc. These commands are meant for special purposes.These are found in separate files on Hard disk or Floppy Disk,so that they don't typically consume valuable memory space.They are loaded into memory only as called that specifies command name.This are also called Disk-Resident commands. Example of some External Commands-Attrib,Chkdsk,Label,FC,Xcopy,Move,Mode,Mem,More,Sort,Find,Tree,Help,Edit etc. This command is used to view the content of any file. Show the system Time ,then you can set new time or can exit by pressing Enter if you don't want to change. Download Now All Complete DOS command Click Here. The ping command is a Command Prompt command used to test the ability of the source computer(Pc) to reach a specified destination computer. The ping command is usually used as a simple way verify that a computer can communicate over the network with another computer(Pc) or network device. Step-3.Type CMD in the open text box.Then appear below the figure. Experiment to see how helpful these can be!Enjoy It. Visual Basic is a third-generation event-driven programming language and integrated development Microsoft for its COM programming model first released in 1991.VISUAL BASIC is a high level programming language which evolved from the earlier DOS version called BASIC. BASIC means Beginners' All-purpose Symbolic Instruction Code.It is a very easy programming language to learn. The code look a lot like English Language. Different software companies produced different versions of BASIC, such as Microsoft QBASIC, QUICKBASIC, GWBASIC ,IBM BASICA and so on. Visual Basic is a powerful programming system allows us to create applications that fully make use of facilities of GUI (Graphical User Interface ). The programming system is a windows-based productivity tool. It is an event-driven programming model. It provides a rapid application developed environment,a rich object-based language with a set of easy-to-use debugging tools. The Visual Basic Scripting edition (Vb Script) is a widely used scripting language and a subset of Visual Basic language. Data access feature allow you to create databases,front-end applications,and scalable server-side components for most popular data base formats, including Microsoft SQL Server and other enterprise-level databases. ActiveX technologies allows you to use the functionality provide by other applications,such as Microsoft Word, Word Processor ,Microsoft Excel spreadsheet, and other Windows application .You can even automate applications and object created using the Professional or Enterprise editions of Visual Basic. Internet capabilities make it easy to provide access to documents and applications across the Internet or intranet from within your application,or to create Internet server applications. Your finished application is a true.exe file that uses a Visual Basic Virtual Machine that you can freely distribute. Visual Basic is available in three editions. The learning Edition contains all the tools you need to build your powerful applications. The Professional Edition include Crystal Reports and ActiveX Controls. Enterprise Edition has Advance Database Management Tools,the Automation Manager and the Component Manager. 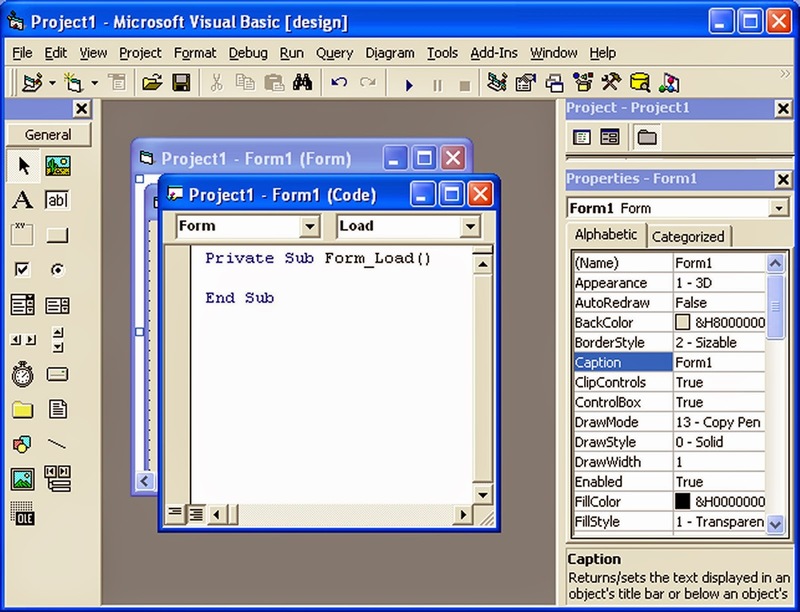 VB(Visual Basic ) is not just just a language. It is an Integrated Development Environment (IDE) in which you developed, run ,test and debug your application programs.Starts Visual Basic and you will see the window as shown in the figure below. Here you are prompted to select the type of project you want to create. Standard EXE,Active EXE, ActiveX DLL, ActiveX Control VB Application, Addin,ActiveX Document EXE ,ActiveX Document DLL. In the New tab,you can select a new Project. In the Existing tab,you can select an existing project and Open it. To open a project in which you are working recently,select Recent tab which contains the list of most recently opened Projects. 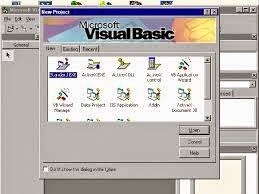 ---->> First open Microsoft Visual Basic 6. Normally, a default form with the name Form1 will be available for you to start your new project. 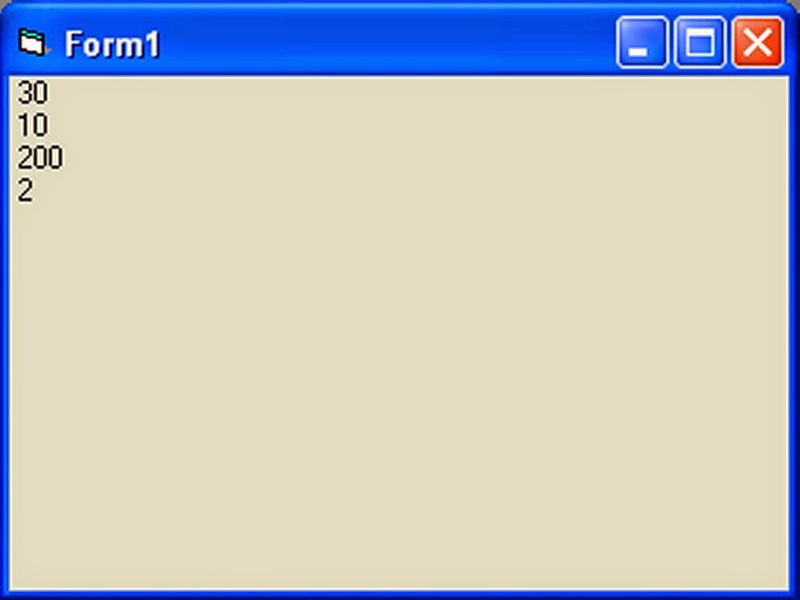 Now, double click on Form1, the source code window for Form1 as shown in figure below will appear. The top of the source code window consists of a list of objects and their associated events or procedures. 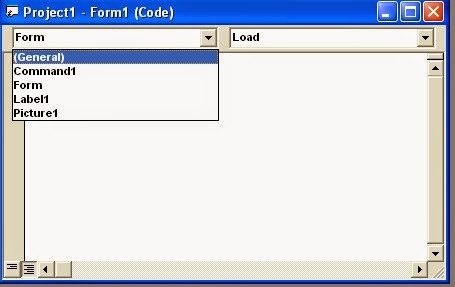 In figure below, the object displayed is Form and the associated procedure is Load. When you click on the object box, the drop-down list will display a list of objects you have inserted into your form as shown in figure below. Here, you can see a form with the name Form1, a command button with the name Command1, a Label with the name Label1 and a Picture Box with the name Picture1. ----->> Similarly, when you click on the procedure box, a list of procedures associated with the object will be displayed as shown in figure below. 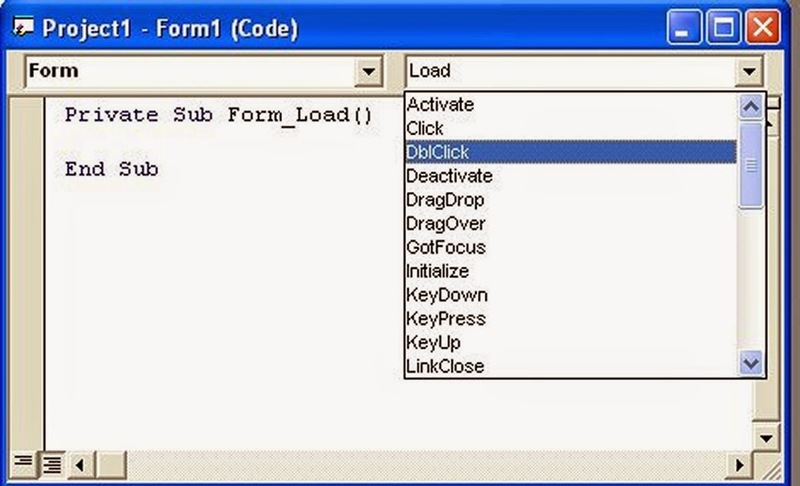 Some of the procedures associated with the object Form1 are Activate, Click, Double-Click , DragDrop, keyPress and more. Each object has its own set of procedures. You can always select an object and write codes for any of its procedure in order to perform certain tasks. ---->> When you press F5 (Click on Menu bar and select --> Run and also click start Or Click Run tool ) to run the program.show statement like in the figure below.